Pope Francis has made his first official visit to Chile and Peru, starting with the city of Santiago. Dan and Catherine teach you the language the world's media is using to discuss this story. The Pope has entered the Chilean capital city of Santiago. The Argentinian pontiff has been greeted by thousands of people. Pope Francis has travelled into the city of Santiago on his first official visit to Chile and Peru. He travelled ‘in a car at the head of a slow-moving group of vehicles’. Which word below best describes this situation? Pope Francis has begun his first official visit to Chile and Peru. Thousands of Chileans greeted the pontiff, who is from Argentina, as his motorcade travelled into the city. But the crowds were much smaller than for his previous visits to Latin America. 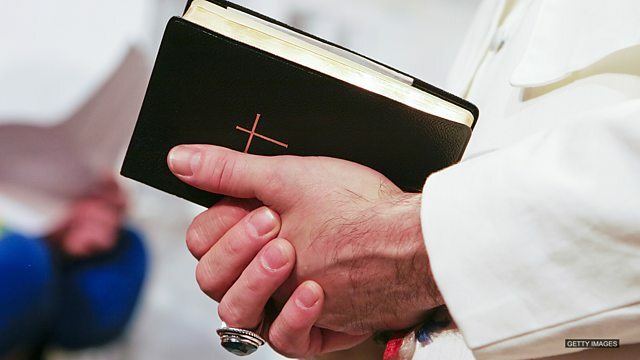 There are expected to be protests about an abuse scandal involving Catholic priests. Since the nuclear plant leak, vegetation and wildlife in the area have been ______. There's not much of anything left anymore. After I put soundproofing on my windows, I could hardly hear my neighbours. They aren't gone completely, but the sound is greatly ______. You are their father and the only person they have left. They will have to ______ on you. Don't let them down.